Simply exquisite. 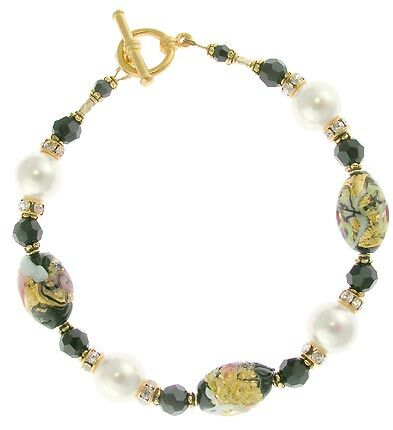 This bracelet blends Swarovski pearls and crystals with textured Venetian beads to create a delicate and chic look. Gold-plated findings throughout and secured with a toggle clasp. This bracelet fits 7 1/4 to 7 1/2 inch wrists. Please e-mail us about additional sizes. Also available in pink or red.